A cold front has blown across Utah, which stirs the desire for a hot cup of mulled cider and some autumn crafting. After several years in our house with Fall acorns pelting down like incoming asteroids, I decided to get proactive and harvest the acorns for some inside crafts. An hour with the ladder and I had a bowl full of acorns. In order to kill any critters, I first filled the bowl with some cold water and sloshed them around to knock off any dirt and small spiders. Then I dried them off as best I could, you could also let them air dry for an hour or so, but I'm impatient. I preheated the oven to 175F and cooked them for a couple of hours stirring occasionally to kill any critters inside. At this point, there pretty much wasn't a single acorn cap attached, so I used some wood glue and glued their caps back on. Next time I think I would use a hot glue gun, but I am prone to burning myself with those, so I was exercising caution in favor of uninjured finger tips. 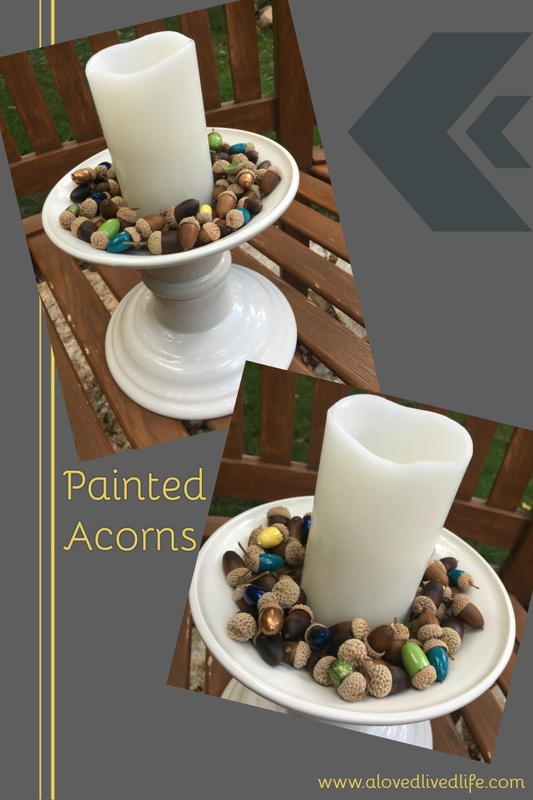 After the caps dried, there were a number of acorns that had holes in them from insects boring in, so I decided it would be much prettier and craftier to paint them. I did some Pinterest searching for options on how to paint them and there doesn't seem to be a hard or fast rule. Some prefer craft paints and others advocate nail polish. I personally love the gloss of nail polish and being a bit of a nail polish addict I have tons of colors, many of which also coordinate with the main decorating colors of our house, so I opted for nail polish. The truth of it is, painting acorns is fiddly and time consuming. You can only paint on side at a time and most nail polishes (especially the light colored ones) require multiple coats per side. Basically it took me days to get it done, but I love the result. I also like that there are only a few painted so they pop like jewels against the brown of the unpainted acorns. I was searching for ground beef recipe for dinner and i ended up here in Chile bacon recipe. tried wasn't that bad.dishes on your site are very different from most of the culinary sites.